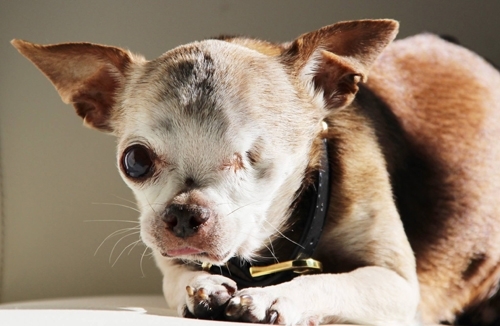 perfect memory of this four-legged hero. Type your gift message here and don't forget your name so people know who your gift is from! 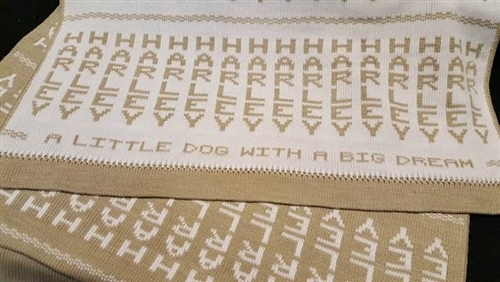 This reversible, memory blanket is approximately 25” x 46” and made with soft 100% premium acrylic yarn and for that loving touch, Harley’s name is repeated throughout the body of the blanket with his legacy “A Little Dog with a Big Dream” on the bottom. The blanket is machine washable and dryer safe – no shrinking or fading. This “Harley Memory” blanket, with its neutral color combination, will look great in any home…a perfect memory of this four-legged hero.